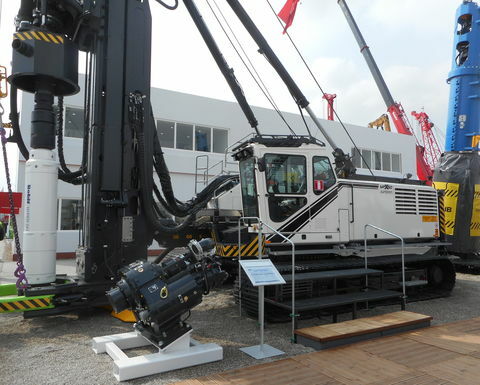 Bauma 2019 was where Junttan launched its latest multipurpose drilling and piling rig – the MPx50. Designed to be a multi-function rig, the MPx50 is capable of DTH, Kelly, CFA, displacement, driven cast-in situ, and driven pile work is done with a Junttan hydraulic hammer. 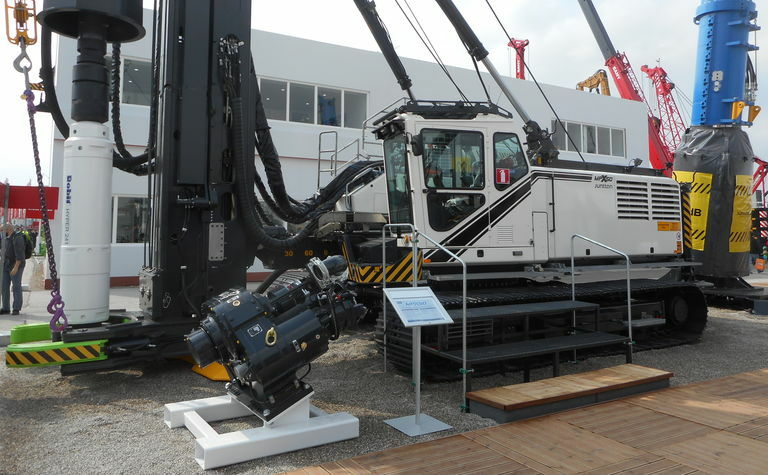 Built upon a Junttan-designed, purpose-built piling rig undercarriage, which can extend from 3,380 to 4,880mm wide, the new rig is extremely stable yet is easy to transport with a leader that can be folded to shorten the transport length. In addition, the specially designed undercarriage comes with 90omm tracks that are easy to dismantle for restricted transportation conditions. 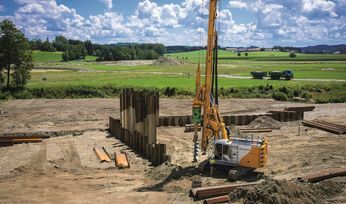 Throughout all applications (both piling and drilling) the max length is 24m. Maximum drilling diameters are dependant upon the type of work being undertaken; for DTH and driven piles it is 1,000mm, CFA is 800mm, DCIS is 610mm and for displacement it is 508mm. Across the range, maximum extraction is 800kN and maximum pull down for DTH, displacement and CFA is 390kN. Powering the MPx50 is a Tier 4F EPA compliant Cummins L9 Stage V engine with maximum power of 430hp.